It is a testament to the extraordinary writing talents of Jimmy Perry and David Croft that their comedy material still gets plenty of laughs four decades later. It is, in fact, exactly 40 years ago that the hugely successful BBC television comedy series Dad's Army ended its original series on the small screen, with a grand total of 80 episodes having been shown over the course of nine series between 1968 and 1977. The reasons for the enormous success of a TV series about the antics of a Home Guard unit during the Second World War will never be fully known, despite the creative talents of Perry and Croft. But what is certain is that this popularity has never waned over the years, with frequent re-runs on television and a feature-length film released only last year starring the likes of Toby Jones, Bill Nighy, Tom Courtenay, Michael Gambon, and with a surprise guest appearance by Catherine Zeta-Jones. 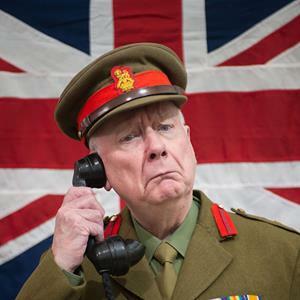 And, of course, there is also a live stage version of Dad's Army which has found itself billeted at the Lichfield Garrick theatre from Wednesday 1 February to Saturday 4 February. 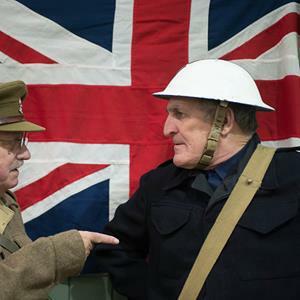 The play, which consists of selected episodes from the long-running television series, is performed by The Lichfield Players which, considering when Dad's Army was set, actually began life as a dramatic society at the height of the conflict in 1943. Nowadays, The Lichfield Players, whose patron is the esteemed TV, film and stage actor Sir Derek Jacobi, performs four times a year at the Lichfield Garrick theatre. Fans of the Dad's Army television series who packed into the Garrick on opening night would have been delighted to see all the familiar characters, from the pompous Captain Mainwaring, played by Stephen Brunton, and laid-back Sergeant Wilson (Richard Bannister), to the spiv Private Walker (Charlie Barker) and mummy's boy Pike (Will Young). But there was also a welcome appearance from the female members of The Lichfield Players' company during an episode when Mainwaring and Wilson tried to create a ladies unit of the Home Guard, resulting in a flirtatious liaison between the captain and a certain Mrs Gray, well played by Sarah Stanley. But the highlight of the evening was the opening episode which featured a captured German U-boat crew that Captain Mainwaring's platoon, also including Corporal Jones, Private Fraser and Private Godfrey, had to guard in the church hall, which was convincingly recreated on stage. 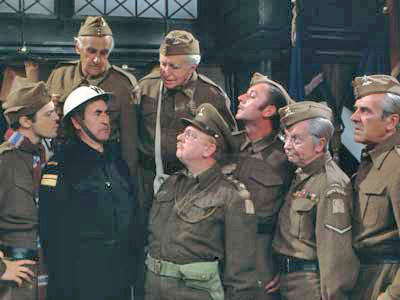 Of course, this being Dad's Army, things do not exactly go as planned, with the episode famously including the still hilarious line "Don't tell him Pike!". 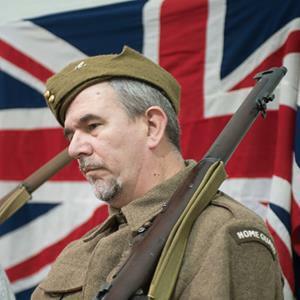 Dad's Army continues at the Lichfield Garrick until Saturday 4 February with performances starting at 7.30pm, plus a 2.30pm matinee on the Saturday. Tickets priced from £14 or £12 students are available online or from the Box Office on 01543 412121.